Hello Wednesday! 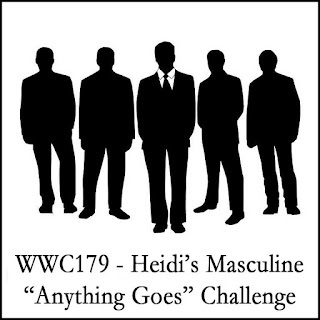 This week Heidi is our hosting our Watercooler Wednesday Challenge. 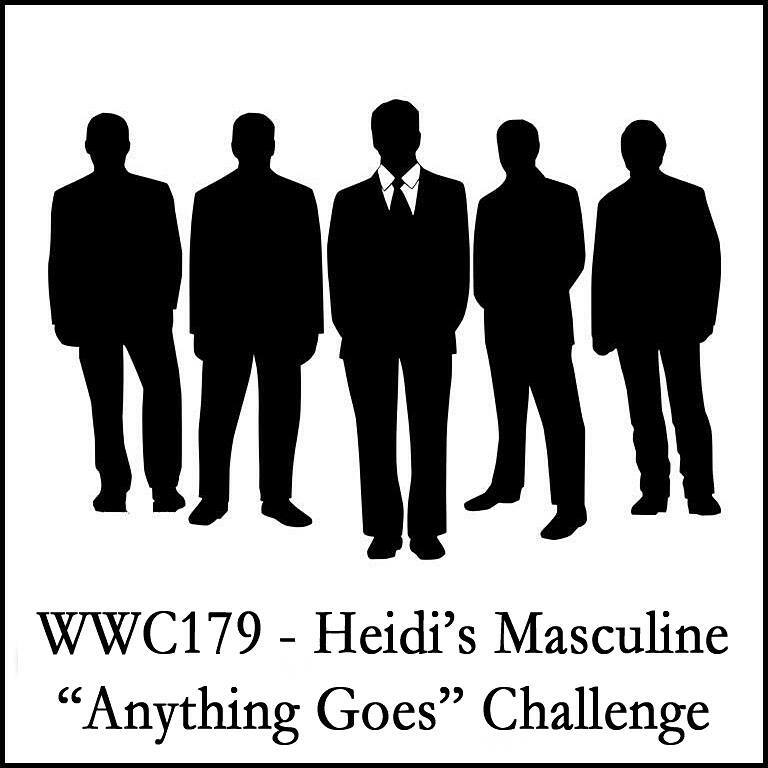 It's a Masculine "Anything Goes" challenge. So, dig out those great masculine stamp sets you don't use often enough and play along with us. Once again I used the Reel Great Guys stamp set by Art Impressions. This cute little pooch looks so peaceful floating around in his inner tube surrounded by water. A great way to spend a summer day. For all of our challenge details and to share your project, visit the Watercooler Wednesday Challenge by clicking the image below. We’d love to have you join us. You have until Monday, June 23rd at 6:00 p.m. Central Daylight Time to link up your project. You and I both fell in love with the same stamp set, Marsha. 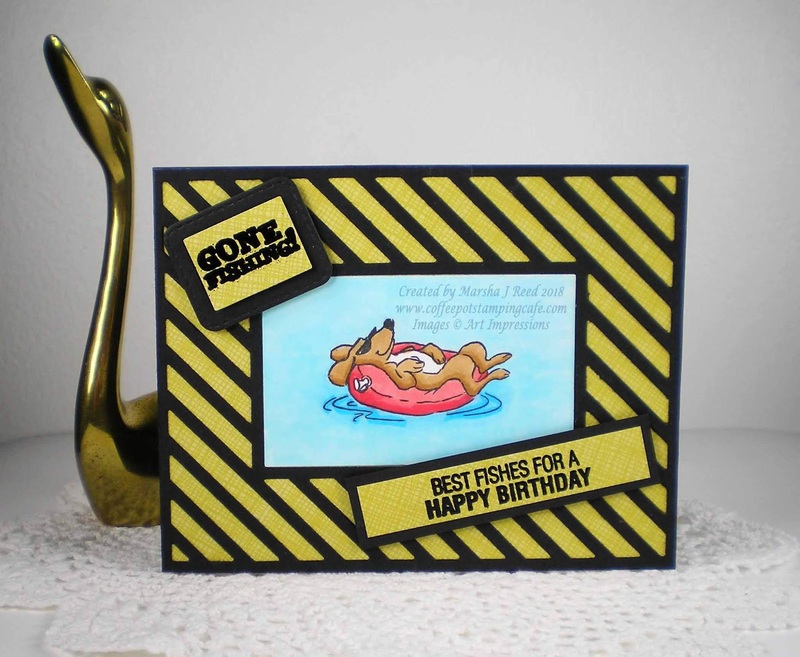 Love the way you've used that adorable Dachsie for this bright and fun card. We sure did. I know I'm going to get a lot of use out of it.